Continuing our series of expert predictions for the coming year, today we turn our attention to the Internet of Things which has begun to take off in a serious way in 2016. Although the IoT may already be pretty big it's set to get much, much bigger. 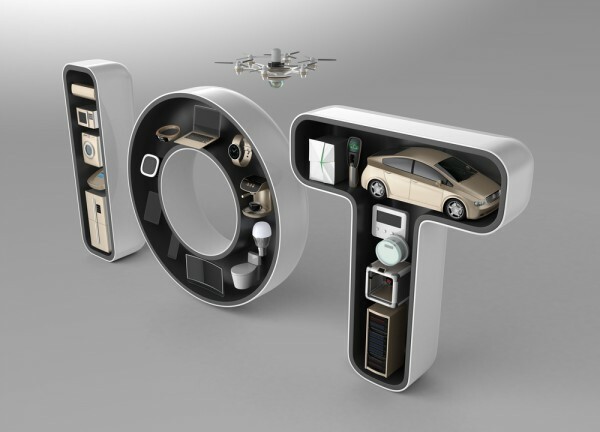 Figures earlier this year from Machina Research predict the number of IoT connections will grow from 6 billion in 2015 to 27 billion in 2025. So what opportunities and challenges is this going to present to businesses? Steve Wilkes, co-founder and CTO at Striim, sees network infrastructures having to adapt to cope with the growing volume of devices. "Low power mesh networks will begin to replace single-point-of-failure access points and enable disparate IoT devices to interact within a mesh environment". Wilkes also believes that IoT platforms will grow in strength and capability incorporating device registration, management and communication features as well as integration, analytics and machine learning. But he cautions that, "Organizations adopting IoT will be forced towards event-driven streaming architectures to handle the processing and analytics of huge volumes of rapidly produced (fast and vast) data. This shift will enable these organizations to apply streaming technologies to other integration and analytics use-cases outside of IoT". He thinks that in-memory computing techniques will increasingly be used to enable protection, allowing applications that may have previously been blocked by compliance and security concerns to go ahead. "Simple IoT use cases such as the real-time tracking of the movement of people or packages via geolocation and time windowing will become prevalent across healthcare, transportation, manufacturing and logistics". Dan Graham, Internet of Things technical marketing specialist at Teradata foresees that businesses will need new staff roles and that as a result people with IoT skills will be in big demand. "The Internet of Things architect role will eclipse the data scientist as the most valuable unicorn for HR departments," says Graham. "The surge in IoT will produce a surge in edge computing and IoT operational design. 1,000s of resumes will be updated overnight. Additionally, fewer than 10 percent of companies realize they need an IoT analytics architect, a distinct species from IoT system architect. Software architects who can design both distributed and central analytics for IoT will soar in value". Our look at 2017 security predictions highlights some worries about the IoT's potential to pose a threat. Experts believe this will need to be addressed by changes to technology and to policy. Curtis Peterson, SVP of cloud computing at Ring Central says, "Gartner estimates there are 6.4 billion connected gadgets out there, and each of those devices has the potential to generate volumes of DDoS traffic. To avoid the next big IoT attack we'll see more companies focusing on hardening the internet to make it more resilient. 128 Technology is an early innovator with their implementation of software-defined networking architectures that route traffic more intelligently, thwarting a potential DDoS attack. In 2017, we will see more companies popping up to build smarter, more resilient internet architectures to avoid these looming security vulnerabilities". These views are echoed by Richard Henderson, global security strategist at Absolute. "The IoT security situation will only escalate as new versions are released and device manufacturers stop patching outdated devices. This problem will come to the forefront with a massive breach resulting from an infected or compromised device unknown to IT teams monitoring the network". He believes that this may lead to enterprises banning IoT Devices from their company networks. "In the name of liability management, conservative and risk-averse corporations will declare IoT devices off-limits. They will either require the most stringent of routing and security controls be added or just ban their use outright". The Internet of Things is still in its fairly early stages, but it's expanding fast and the data it generates is becoming more important to predicting consumer behavior, spotting demand trends and managing energy and material usage. What's clear from these predictions is that while some businesses may have been ignoring its impact up to now they'll have to start taking it more seriously in future.